Daimler Trucks is launching a new era of truck production in Brazil, involving systematic implementation of Industry 4.0 concepts. 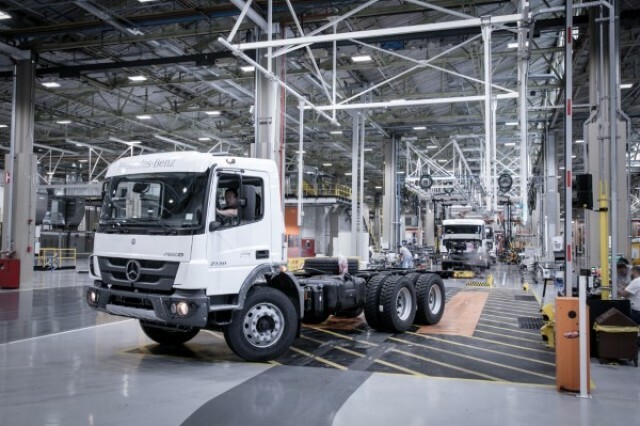 A completely new type of truck assembly line has now commenced operation at the Brazilian Sao Bernardo do Campo plant of Daimler subsidiary Mercedes-Benz do Brasil. The application of hyperconnectivity (real-time networking of individuals, things, devices) and digital technologies to systems and tools results in a future-oriented production system. A completely new building has been constructed by Mercedes-Benz do Brasil to house the assembly of light- to heavy-duty trucks and the associated parts logistics processes. The company ensured that its employees played a significant part in designing the new production facility, with the aim of creating a more ergonomic, more intelligent and safer working environment. The Industry 4.0 concepts mentioned above include a range of technologies and tools that are all fully connected together in real time (hyperconnectivity). 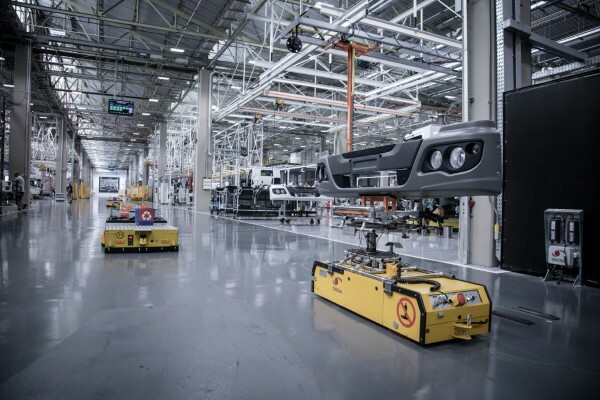 The new assembly line, for example, is connected 100 percent with all the other production areas at Mercedes-Benz do Brasil. With the aid of a smartphone app, workers and management have access to all relevant data relating to the assembly line on their mobile devices. These include the data for the 60 or so automatically guided vehicle (AGV) systems and for the new-style electronic screwdrivers, which work with pre-programmed torque settings. They, too, form part of a cloud network via Big Data Intelligence, ensuring faster reaction times in production. In addition there are new forklift trucks equipped with light-sensor technology to speed up the flow of materials in parts logistics and 3D printers used for the more agile production of new parts at lower cost. Should maintenance work become necessary, the service teams will in future use augmented reality headsets instead of cumbersome manuals as a means of sourcing detailed information about each component. The municipality of Houten, Netherlands, has put twelve FUSO Canter into its municipal service. 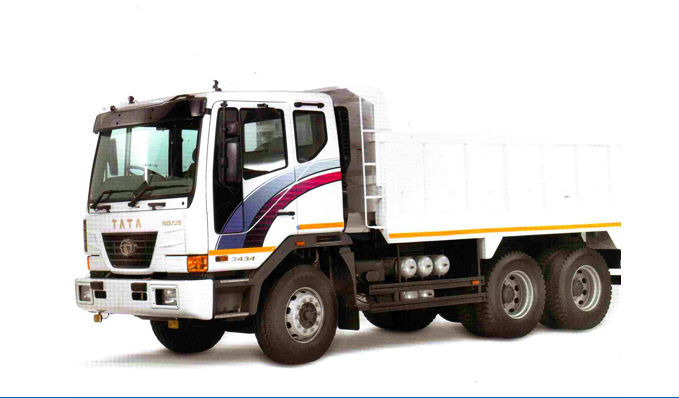 “This is the second series of FUSO trucks that we have bought. 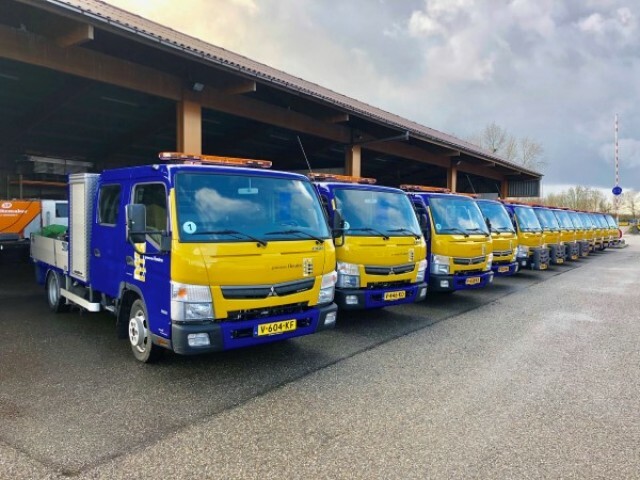 We already know for ourselves that these are robust vehicles suitable for a wide range of applications”, is how Arie Koning, project manager for the municipality of Houten, explains his purchasing decision. The four Canter vehicles with crewcab, as well as the eight with single cab, have been fitted with platform bodies by a local bodybuilder. The four Canter 3S13 models are also ideally equipped for winter maintenance operations. As well as the usual tasks demanded of them on public traffic routes, they are also capable of coping effectively with black ice. “We’ve been out spreading salt 33 times so far this year already”, reports Arie Koning. As well as for winter maintenance, the vehicles will be used for municipal operations such as parks maintenance. The fuel-efficient Euro VI engines of the FUSO Canter are an important element of Houten’s sustainability concept. Their low emissions mean that the vehicles are ideal for use in the municipality’s built-up areas. With its first “Offroad & Traction” training course, MAN ProfiDrive has added a further module to its newly designed training courses for specific sectors, which is specially aimed at drivers of all-terrain MAN Construction Trucks. The pilot event at the end of February included a training session with experts and superstructures from Meiller-Kipper. With five different MAN tipper vehicles – a TGS 35.460 8×6 HydroDrive, a TGS 26.460 6×6, two TGM 18.340 4×4, a TGM 13.290 4×4 – and three MAN ProfiDrive trainers, participants on the “Offroad & Traction” pilot training course learned how to correctly operate and use the various MAN drive functions during practical driving exercises in a quarry that is currently out of use in Simmelsdorf, Franconia. This highly practical relevance is one of the special features of the new sector training. MAN ProfiDrive has designed its training courses to be precisely tailored to the needs of each customer. A theoretical module supplemented the practical part. In addition, experts from the testing department at the tipper manufacturer Meiller brushed up participants’ practical knowledge in terms of “Dangers when tipping” with two other vehicles from MAN. “With these events, we want to demonstrate to our customers what MAN vehicles can do and how they can be best deployed for their highly specific sector requirements,” describes ProfiDrive trainer Markus Ulbricht. He led a group of participants in their vehicles up and down different gradients on the various levels of the quarry, pointed out problem areas, and gave both positive and negative examples of driving manoeuvres, which the participants were then able to carry out and compare for themselves to see the difference between “Do” and “Don’t”. 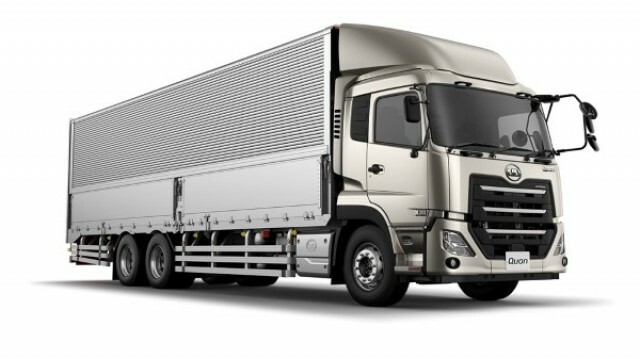 At the same time, another group “discovered” how the steering and driving behaviour of a truck changes if the use of the above-mentioned driving aids doesn’t match the driving situation. The participants in the four-wheel drive and the HydroDrive four-axle turned in circles on level terrain and experienced how the curve radius under lock use is so big that the practice area almost ran out. With the help of eight axle scales using a 4-axle MAN TGS 35.500 and a MAN TGX 18.500 semitrailer truck with a large tipping trough, Meiller’s tipping experts showed the third group how drastically wheel loads change during the tipping process. A laser gauge showed just how much the superstructures twist. They also explained to participants how a tipper’s uneven position and uneven loading could lead to unintentional “tipping”. The varied and flexible vocational and advanced training programmes offered by MAN ProfiDrive® enables MAN to provide its customers with sustainable added value that goes far beyond technical vehicle service. The experts from MAN ProfiDrive® focus on vehicle users and their individual needs in their daily work with trucks or buses. Practical advice, assistance and knowledge transfer to help MAN customers make the most of their jobs with their vehicles – that is the aim of the MAN ProfiDrive training courses. In order to promote the special concept of customer proximity, the MAN ProfiDrive team accompanied the “Home, Speed Home Tour” last year, which was a Europe-wide road show with eleven trucks from the new model year 2018. Visitors to a total of 15 events were able to check their practical skills directly with the ProfiDrive®experts. The programme included test drives where the trainers presented the technical innovations of the trucks. 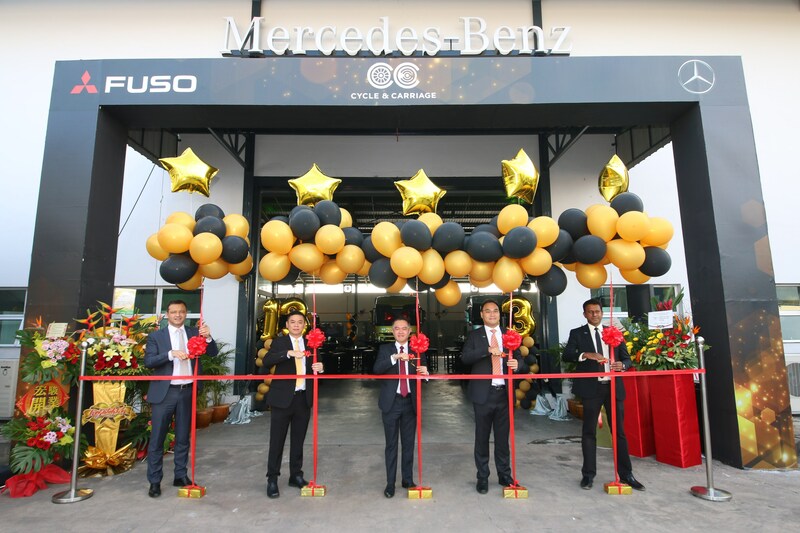 Mercedes-Benz Malaysia Commercial Vehicles (MBM CV) together with Cycle & Carriage Bintang Berhad, recently celebrated the launch of the Cycle & Carriage Bintang Commercial Vehicle Centre (Cycle & Carriage CV Centre) in Gopeng, Perak. The launch also represents Cycle & Carriage Bintang’s 13th dealership, and its foray into the FUSO retail business, having previously provided FUSO after sales only. Part of a long-standing partnership between principal and authorised dealer partner, RM1.1million was invested in the Cycle & Carriage CV Centre. This comes as Mercedes-Benz Malaysia and Cycle & Carriage Bintang continue expanding customer touchpoints by delivering the highest quality of commercial vehicles, dependable service quality and extensive after-sales expertise for the northern region of Peninsular Malaysia. A full-fledged 3S centre, the Cycle & Carriage CV Centre is managed by personnel well-versed in sales, technical services and spare parts for Mercedes-Benz and FUSO vehicles. The CV centre is able to display eight commercial vehicles complete with open-air canopy concept and a customer lounge for more personalised customer service. Equipped with four work bays, a full length work pit and a dedicated engine repair area, the CV centre is able to service up to 43 Mercedes-Benz and FUSO commercial vehicles a month. With a built-up area of 13,412 sq ft, Cycle & Carriage CV Centre provides driver amenities for greater convenience and comfort. For shorter turn-around time for commercial vehicle inspection, the CV Centre is strategically situated near PUSPAKOM to reduce the customer waiting period of their vehicles. 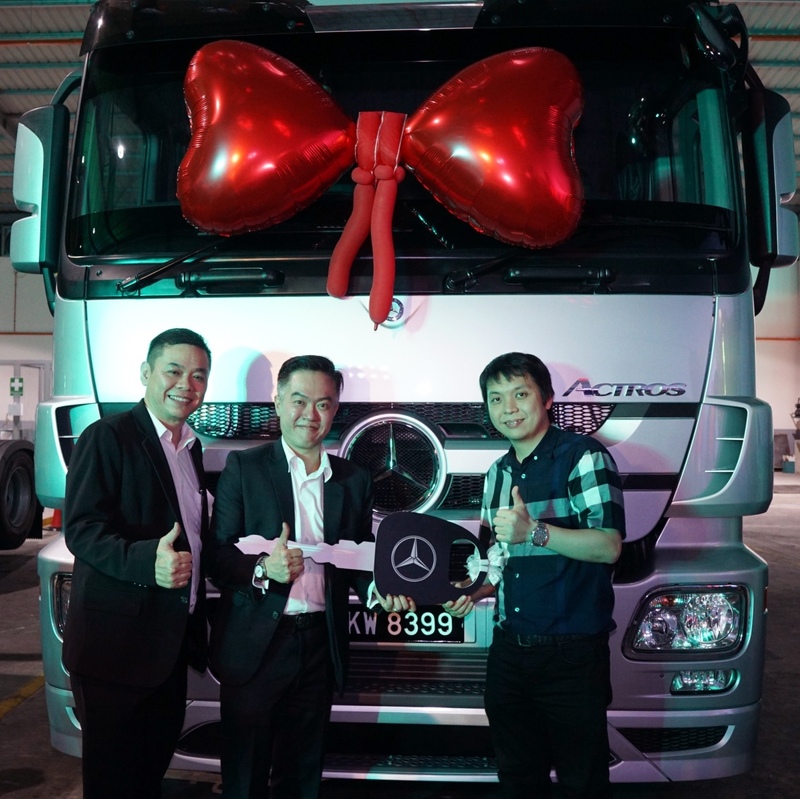 During the same event, Cycle & Carriage Berhad also marked the delivery of a Mercedes-Benz Actros prime mover each to Chuan City Enterprise Sdn Bhd and Pek Ong and Sons Nurseries Sdn Bhd. Both companies are new customers to Cycle & Carriage Bintang. 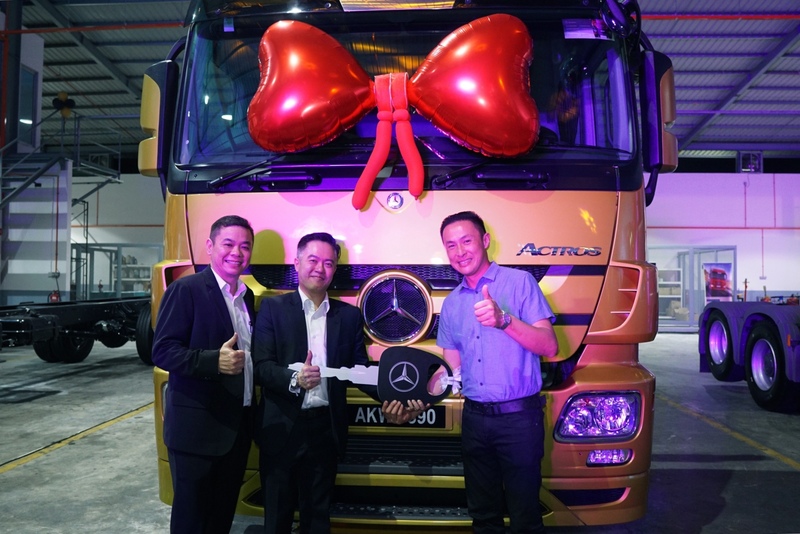 It was the first Mercedes-Benz Actros purchase for Chuan City Enterprise Sdn Bhd, and the second for Pek Ong and Sons Nurseries Sdn Bhd. The Cycle & Carriage CV Centre is located at 23 (Lot 213087) Jalan Industri 3/1, Kawasan Perindustrian Gopeng, 31600 Gopeng, Perak Darul Ridzuan, Tel: 05-3541819 / 05-3541280. MAN Truck and Bus (M) Sdn Bhd (MAN) has handed over 13 MAN TG WW series trucks to Taipanco Sdn Bhd (Taipanco), a leader in the local haulage industry, making up a total of 43 MAN TGS 28.440, 6 x 2 prime movers in Taipanco’s fleet since 2016. 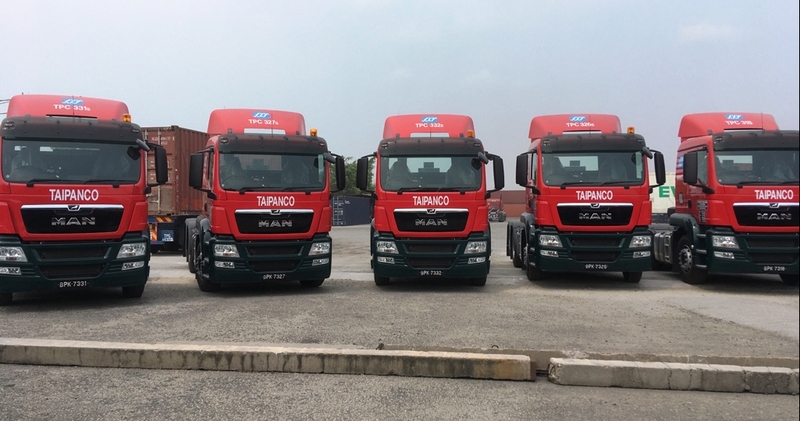 The new trucks will help Taipanco, whose core business is in container transportation, to provide efficient and reliable services to move containers for its clients. Based in Port Klang, Taipanco is one of the largest container transportation operator servicing Northport and Westport. With its unrivalled, versatile wheel and drive formulae, the MAN TGS WW prime movers deliver the load to its destination safely and on time, even if the destination is off the beaten track. The MAN TGS WW’s powerful Euro 3 engines with common rail fuel system supply the dynamics to get that power on the road. With a twin countershaft gearbox which is lighter and stronger, a reputable axle reliability and a comfortable cabin interior, the MAN prime mover offers better fuel consumption and is a practical vehicle for long haul transportation. 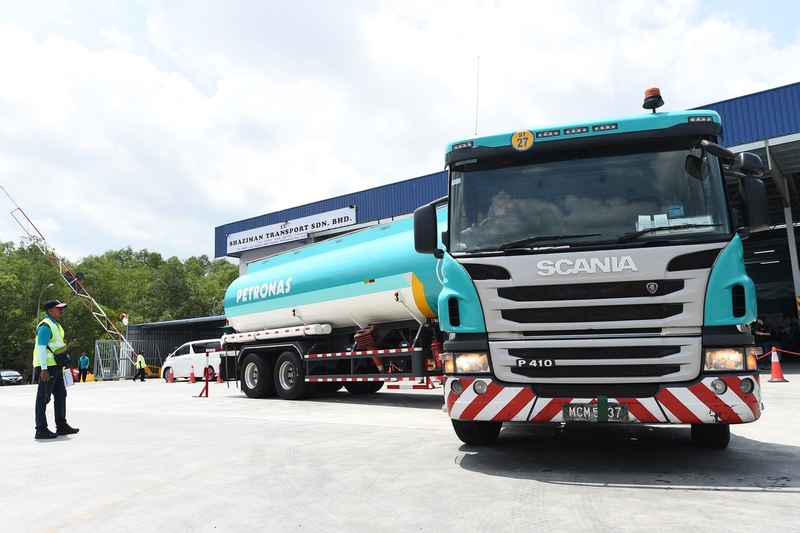 “The enhanced warranty for unlimited mileage, offered only by Scania, is designed to provide operators with even more peace of mind and lower operating costs for the best total operating economy,” said Managing Director of Scania Southeast Asia, Marie Sjödin Enström. “This is in line with Scania’s vision to drive the shift towards a sustainable transport system while creating a world of mobility that is better for business, society and the environment. Our starting point is to ensure profitability for our customers by making them more efficient, smart and safe,” added Marie. Scania Assistance is an operator-based call centre that operates 24/7 365 days a year and the call-centre system allows Scania to track and follow up on the status of any customer’s case from start to completion; keeping the customer informed through the entire process. This allows the customer to plan and reorganize their fleet movements better in the event of a particular vehicle needing assistance. It is supported by professional customer service personnel, a fleet of standby-service vans with highly-trained and experienced technicians which connects customers to our wide network of workshops, even in difficult-to-reach areas. The Scania Fleet Management is a set of services that connects the vehicles with customers’ office through a communicator device which provides vehicle data, fleet position and reviews of driving performance that allow operators to make informed decisions and take the necessary actions in increasing the productivity of their fleet. It also allows them to save money by making decisions that cut fuel consumption, identify vehicles that are being driven unsuitably and do service planning in order to reduce unplanned downtime. When complemented with Scania Driver Training and Coaching services, savings of up to 10% in fuel economy can be achieved. With this new offering, Scania continues to take the lead in providing sustainable transport solutions with profitability in its mind for their customers and their customers’ customers. 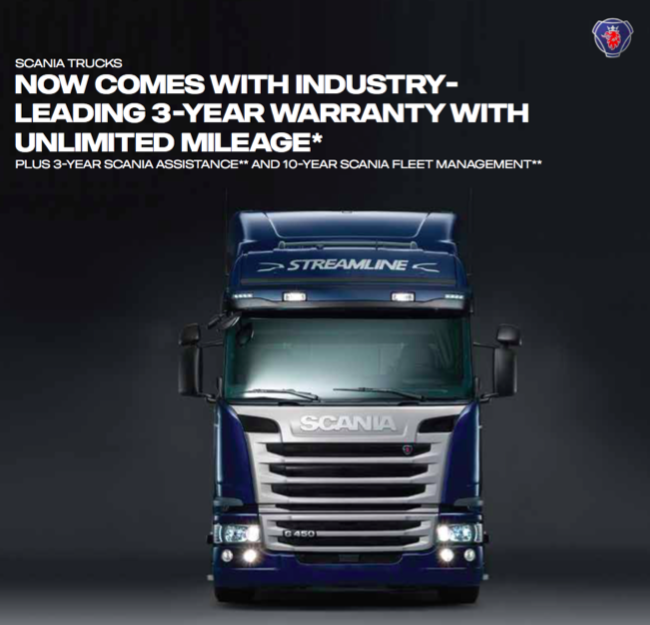 Scania has introduced an enhanced and industry-leading 3-year warranty with unlimited mileage together with 3-year Scania Assistance and 10-year Scania Fleet Management for its trucks sold in Malaysia effective 15 March 2018. 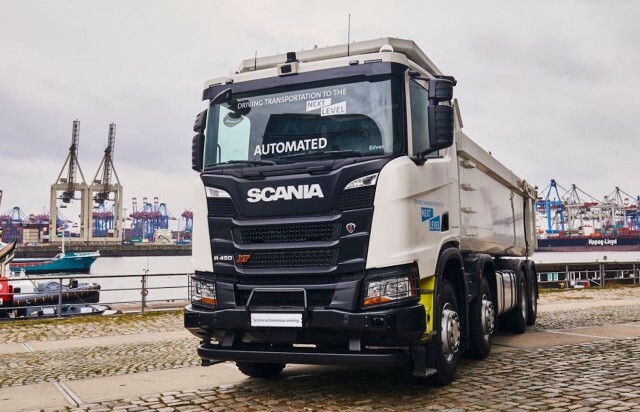 It also allows them to save money by making decisions that cut fuel consumption, identify vehicles that are being driven unsuitably and do service planning in order to reduce unplanned downtime. DRB-HICOM Commercial Vehicles Sdn. Bhd. (DHCV), the authorised importer and distributor of Tata Motors Limited commercial vehicles in Malaysia, is gearing up for further growth for 2018 and beyond. Its growth plans include the introduction of three new vehicles for 2018 and a local-assembly programme in the mid-term. Since its brand launch in 2015, DHCV has sold 654 units of Tata commercial vehicles. The total sales volume consisted of pickup trucks, light trucks and prime movers. This puts Tata in 10th place amongst a total of 28 competing brands in the commercial vehicle (CV) category. The CV category includes pickup trucks, trucks, prime movers, panel vans and buses. 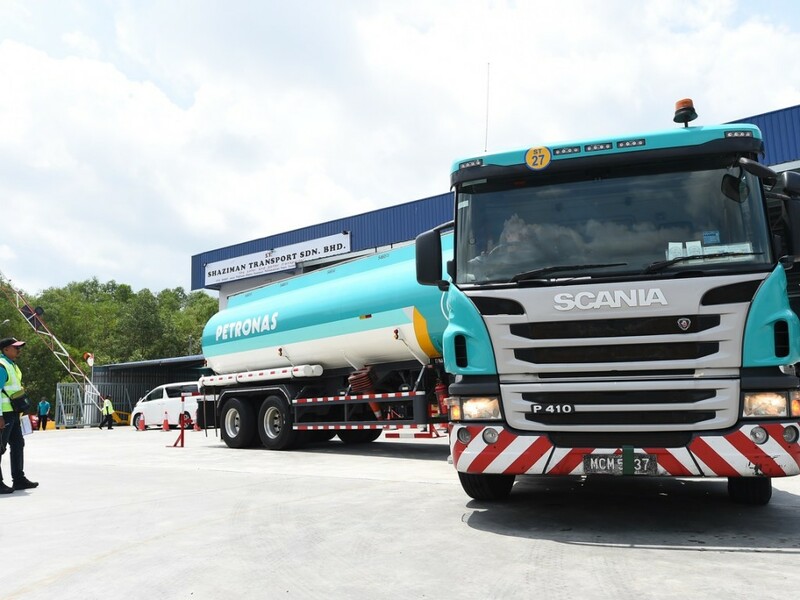 “We are ready to move up and be a bigger player in the commercial vehicle category and in selected segments,” said Dato’ Abdul Harith Abdullah, Chief Operating Officer, Automotive, Distribution, Manufacturing and Engineering, DRB-HICOM Berhad. “The last three years have been a learning curve for us. Come 2018, we are confident we have the right products in terms of technology, affordability and durability to be truly competitive in the commercial vehicle category. We will be offering three all-new products – two in the light commercial vehicle segment and one in the small pickup segment,” Dato’ Harith added. “This is our debut in the small pickup category with an all-new product. Based on our research, we are confident we have the right product for this segment and are able to serve most requirements of customers within the segment,” said Chin Tan Hee, Chief Operating Officer for DHCV. 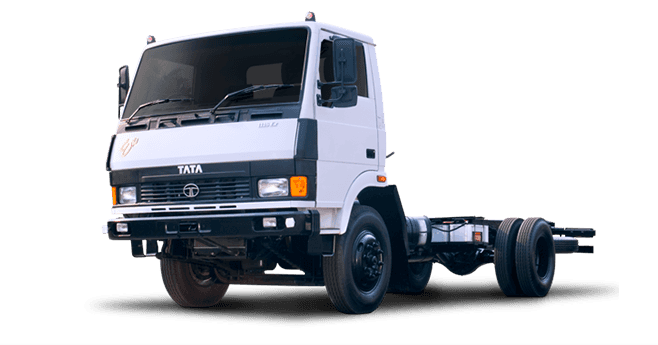 Tata Motors (who also owns Jaguar and Land Rover) is currently the world’s tenth largest motor vehicle manufacturer in the world, and the world’s fourth largest truck and second largest bus manufacturer in the world. Its manufacturing footprint, including design and research-and-development facilities, span the world with six manufacturing and assembly facilities in India, in addition to overseas facilities located in Argentina, Indonesia, South Africa, Spain, Thailand and the United Kingdom. Its product portfolio ranges from sub-tonne and 49-tonne mass movers to five-seater minivans and 81-seater buses. 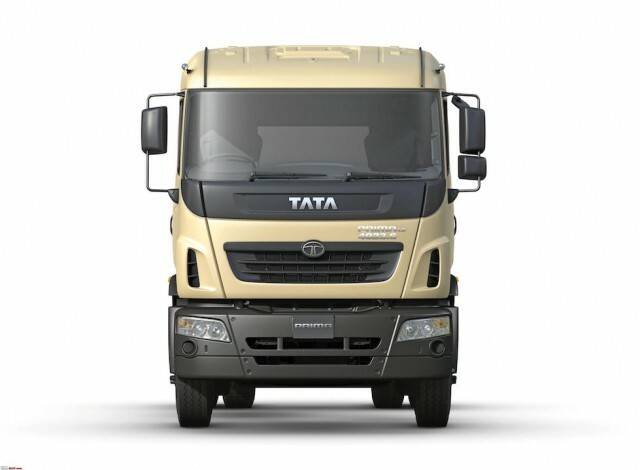 Tata is also a renowned manufacturer of medium- and heavy-duty trucks. In 2017, the total volume for CV in Malaysia was 61,956 units. Pickups commanded 67 percent of this volume (41,316 units), while trucks took 22 percent (13,860 units). Prime movers, vans, light buses and buses make up the balance volume. The Malaysian Automotive Association recently forecasted a 2.3 percent growth in total industry volume (590,000 units) for 2018. Of that total, 63,500 units will consist of commercial vehicles, representing a 2.5 percent growth in the CV category. With the introduction of its all-new Tata small pickup, DHCV anticipates to command about 10-15 percent of the small pickup segment by 2022. For 2018, DHCV plans to achieve a volume of 150 units of light-duty trucks to capture 2 percent of a segment that is expected to have an annual volume of 7,500 units. Plans for local assembly are in place and will be implemented at the appropriate time in the near future. According to Chin, local-assembly is more ideal, in line with the government`s aspirations to promote the suppliers` ecosystem while creating new ones, offer employment and develop new skillsets. It will also introduce DHCV and Tata to more business opportunities including potentials in the public sector. With higher volume achieving economies-of-scale, it is also a cost-effective option for various stakeholders and customers as parts and service will be readily available, lowering overall ownership and running costs. Local assembly will be carried out in DRB-HICOM’s assembly plant in Pekan by HICOM Automotive Manufacturers (Malaysia) Sdn. Bhd. Tata Motor’s customers in Malaysia are currently served by a network of 24 outlets located at strategic locations and in major townships nationwide. DHCV aims to expand this network across Peninsular and East Malaysia, in tandem with sales growth and market penetration in the near future. UD Trucks just put its Quon truck through extreme cold weather road test in Kitami city, Hokkaido, Japan, for 21 days from January 29th to February 19th, 2018. A cumulative total of 300 UD Trucks’ technicians tested six vehicles including, two new Quon all-wheel drive snow-plow trucks planned for release in March. The tests scenario was wide range of actual operational situations. Powertrain and braking efficiency in ice, slush and potholed surfaces, as well as engine starts, swerve control and the effect of ice build-up on the chassis, were tested in a wide range of road surface conditions using a 1,000 meter snow-covered runway. Road testing was also carried out on public roads in both urban areas and mountain passes, and in a long day the trucks would drive a distance of approximately 300 km. 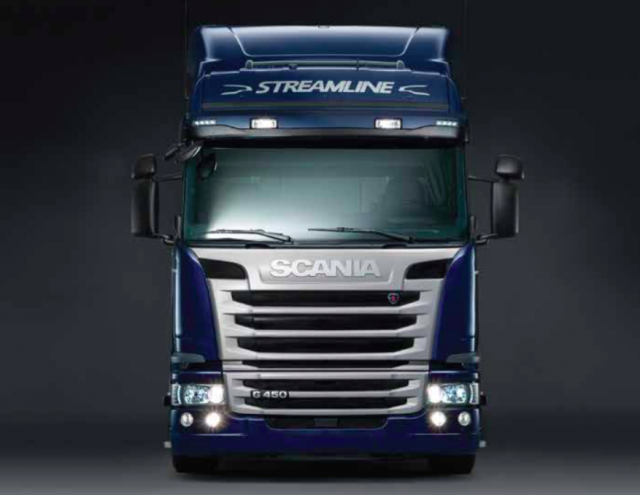 Reliability, efficiency and robustness – these are the criteria that truck customers all over the world look for. And that is as true in the Middle East and Africa regions as anywhere. Customers using our trucks there face the toughest conditions. Daimler is now taking the latest generation of Mercedes-Benz trucks, in the form of the Actros and Arocs, to more than 40 markets. Until now, customers in these areas have driven trucks of the previous model generation. Experts forecast economic growth of between two and five percent over the coming years in the Middle East, North Africa and sub-Saharan Africa regions. As far as the global growth strategy of Daimler Trucks is concerned, the launch of the current Actros and Arocs models in these markets marks an important step. In 2017, Daimler was able to sell more than 35,000 vehicles under the Mercedes-Benz and Fuso brand names across the Middle East, North Africa and sub-Saharan Africa, some 20 percent more than in the year before. The Mercedes-Benz brand is very highly regarded in these regions. For many transport operators, the Actros has become something of a legend. Many customers continue to operate “Mileage Millionaires”, as they are known – trucks from earlier generations of the Actros that have driven more than a million kilometres, still with their first engine. 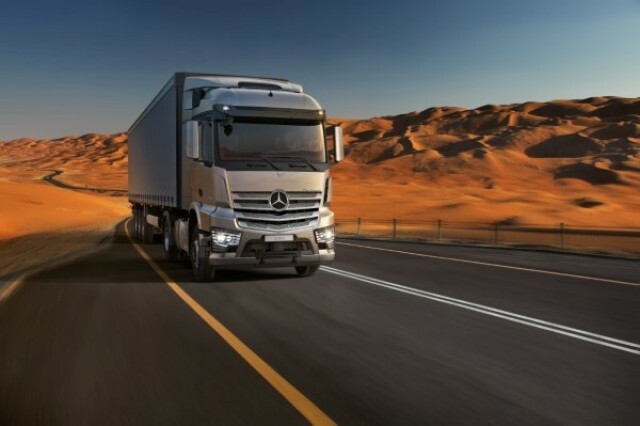 All in all, since the market launch of the Actros model series in 1996, Mercedes-Benz has sold more than 100,000 Actros across the Middle East and North Africa. Globally, more than 1,000,000 Mercedes-Benz Actros have been sold since 1996. Stefan Buchner, Head of Mercedes-Benz Trucks: “Our Mercedes-Benz Actros and Arocs have proved that they can be relied on – as our customers do day in, day out, in many markets around the world. Since the launch of the current generation of the Actros and Arocs series in 2011, Mercedes-Benz has been the clear leader in the heavy-duty truck sector in Europe. Some 300,000 Actros and Arocs have been delivered to customers there since 2011. Daimler Trucks now aims to continue this success story by becoming the undisputed number one for commercial vehicles in the growth markets of the Middle East and Africa. The Actros is well known as a reliable and efficient solution in the long-distance and distribution transport sector, while Mercedes-Benz also offers the Arocs in answer to the more extreme challenges presented on construction sites or in off-road use.